If you use Facebook ads to publicise your products and services, then this latest announcement by Facebook should probably concern you. It’s all to do with the quality of your ad (or lack thereof). 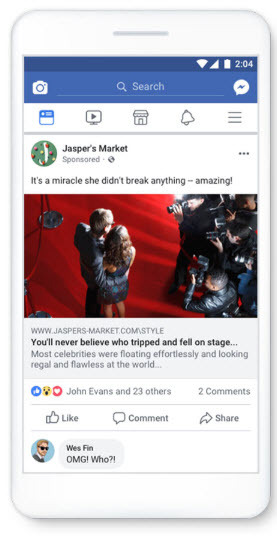 I’ve got the feeling that everyone who ever posted an ad on Facebook feels their ad is of great quality and have absolutely nothing to worry about! This might be so, but below are a few examples of Facebook showing you how NOT to advertise. 1.0.1 These are basically ads that Facebook deems to be spammy and that are trying to ask for engagement by way of likes and shares. 4 Why Advertise on Facebook? These are basically ads that Facebook deems to be spammy and that are trying to ask for engagement by way of likes and shares. If I’m not mistaken, back in the day, Facebook used to encourage this sort of ad when they were looking to build their ad platform. It would appear that now they have the second largest ad platform online, they now scoff at this type of ad. 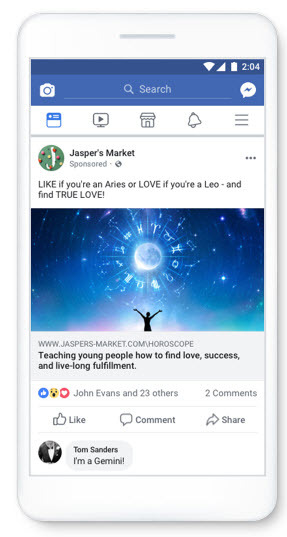 Like most marketers using the ad, they probably published these types of ads to try and game the system a little – if you think about it, the more engagement you receive on your ad, the better it performs in the Facebook news feed. I’m guessing that with the increased frequency and sheer amount of these ads on their platform, Facebook had to take action immediately. They need everyday businesses to do well and actually get some traction from advertising on their network. If they don’t, they’ll seek alternatives instead. Like I said in a previous article – whenever these social networks make changes like this, it’s normally to benefit them more than the online experience of its users. I can understand why Facebook would dislike these types of ads. This is classic “bait and switch” – in effect, the ad is luring someone in without that person fully knowing the context of the ad before they click on it. I must admit, I’m not on Facebook that much but, from people are saying, these ads can be really misleading and are good examples of using clickbait to increase conversions. You generally see these types of ads and ad titles on publications like The Daily Mail. They are used to luring readers into clicking on the title to satisfy their curiosity. However, in most cases, there is no real value on the other side of that ad and these types of ads have been clogging up Facebook’s news feed. No matter which scenario is being played out, I think we can agree that either one is pretty bad for Facebook. This really goes hand in hand with the clickbait titles. By having sensationalised titles and descriptions in your ad, it increases the chances of a click. However, the promise on the landing page after the click doesn’t deliver. I’ve got the feeling that this one will be a little harder to police. Not only will Facebook need to monitor the ads, but they will also need to monitor the quality of the landing pages too. This isn’t easily done by an algorithm as a bad landing page is really hard to spot by what is, effectively, a robot. I think the approach Facebook will take will be to randomly pick out ads and landing pages and check the quality with a real human being. I just can’t see how else they would do this. Machine learning and AI are pretty damn good, however, at the moment, they’re not sophisticated enough to be able to filter out bad experience landing pages. So, if you are looking to use Facebook to advertise your products and services, it’s worth taking note of what Facebook is looking to do. Individual ads with low-quality attributes will see reduced distribution in our ad auction or will be disapproved. This applies to all advertisers, but since we tend to see more of these characteristics in ads related to media, entertainment, politics or issues of national importance, they may be impacted more. Multiple ads flagged with low-quality attributes may impact the performance of all ads from that advertiser. Facebook is the second-largest ad platform online at the moment. When you combine this with the power of its sister network “Instagram”, you have the possibility of getting your ad seen by a lot of people. If you haven’t started advertising on Facebook yet, it’s not too late. 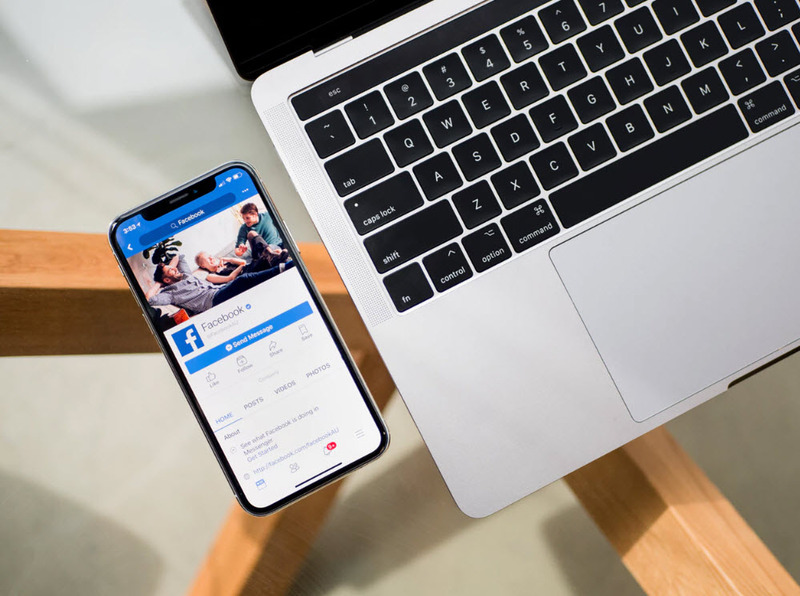 In fact, this is probably the best time to do so as we predict that the cost to advertise on Facebook and Instagram in 2019 is set to increase substantially. 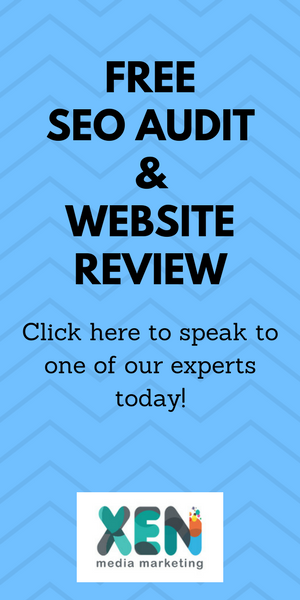 At the moment, the cost is quite reasonable based on the sheer reach and the ability to really narrow down your target market like no other network. 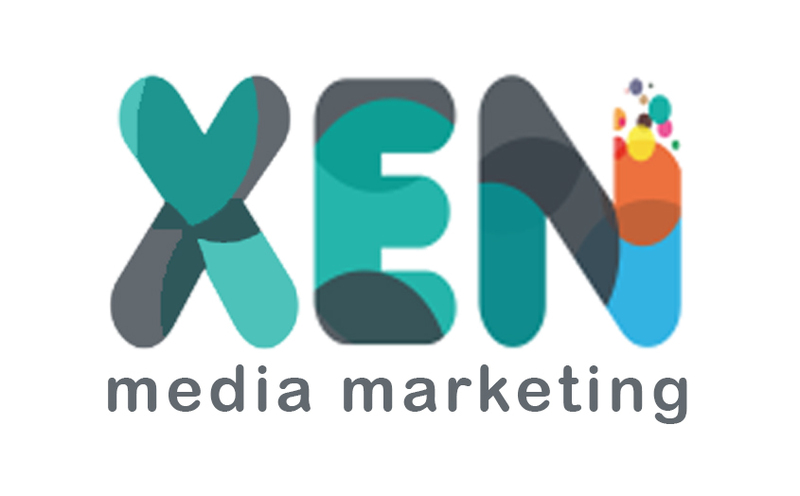 If you would like further advice or need someone to manage your Facebook ads, get in touch with us – we’d be happy to help. 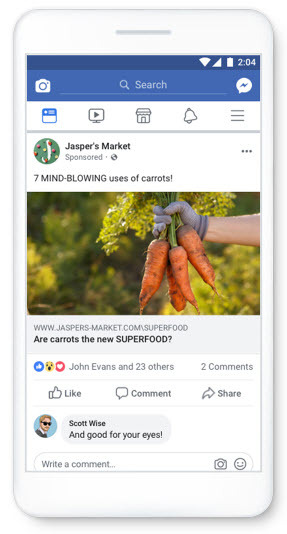 We aren’t normally fans of more rules and regulations, but we can see how improving the quality of ads will improve the overall user experience on Facebook. In recent times, this has gotten a little out of hand and most marketers have been pushing the limits to what is acceptable. Marketers will always find creative ways to game the system, but we think this interjection from Facebook is a good one and should improve the user experience for its billions of users worldwide. From what I’ve seen before, these networks crack down quite heavily initially trying to send out that warning to advertisers. However, 6-9 months down the road, I wouldn’t be too surprised to see many poor quality ads slipping through the cracks after the dust has settled.